The UNIT Parktech Floating Reeds and Wavebreakers are floating reed isla‍‍‍nds that dissipate wave energy and act as a buffer to wind action. The "Anti-Backwash" effect reduces waves and smoothes out the water, even when its a busy and/or windy day at the cable. 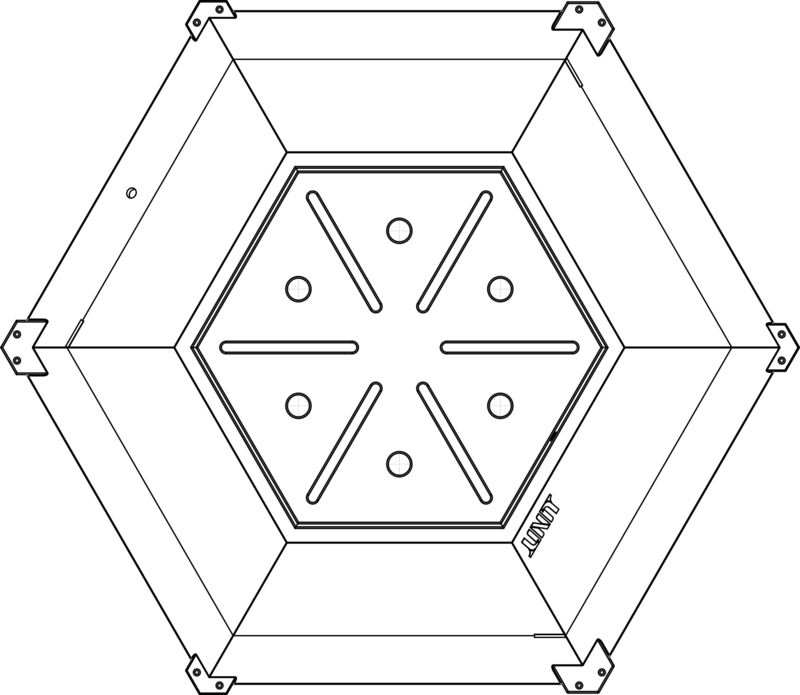 The reeds within the planting area, and the root matrix below the surface, increase the functionality, BUT the wavebreaker design guarantees an immediate effect, even without plants. 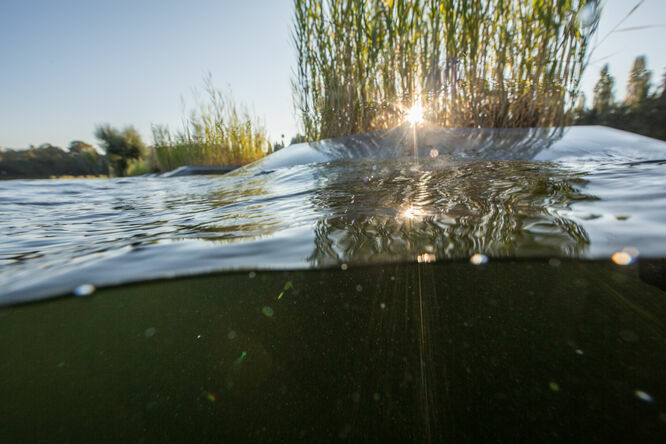 The root matrix in the water ‍‍‍is absorbing pollutants, as well as filtering or retaining suspended soils and the beneficial bacteria it hosts can improve the nitrogen cycle. 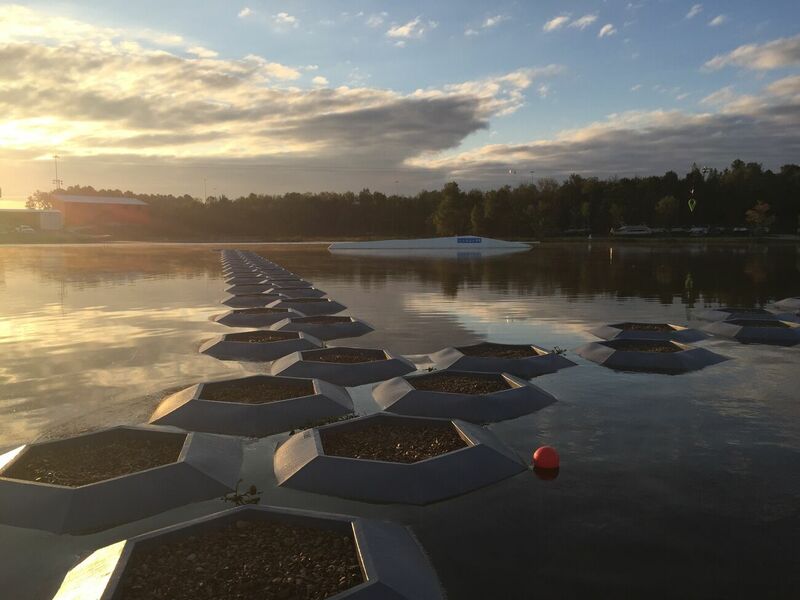 Wave attenuation solutions and breakwaters are mostly rigid and costly. 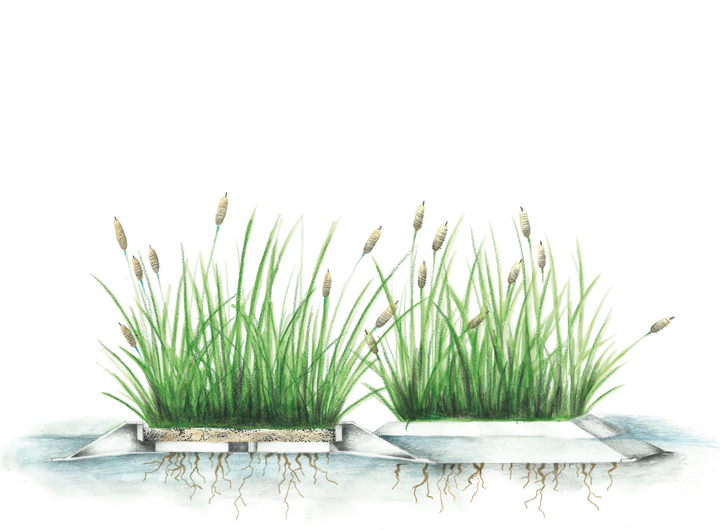 The UNIT Parktech Floating Reeds and Wavebreakers are flexible, ‍‍‍sit‍‍‍e-specific, easily installed at any length, seasonally adjustable and require NO maintenance. 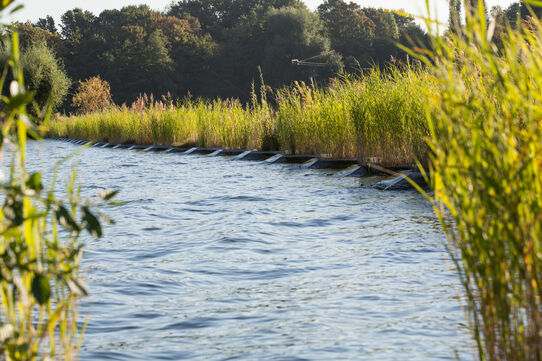 The UNIT Parktech Floating Reeds and Wavebreakers calm the water and create refuges for wildlife and aquatic fauna. 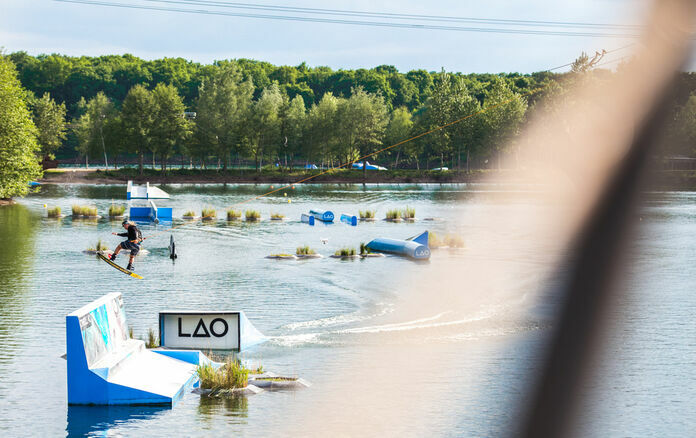 They provide water purification and aesthetic improvements and are therefore ideal for water sports venues like wakeboarding and waterskiing. 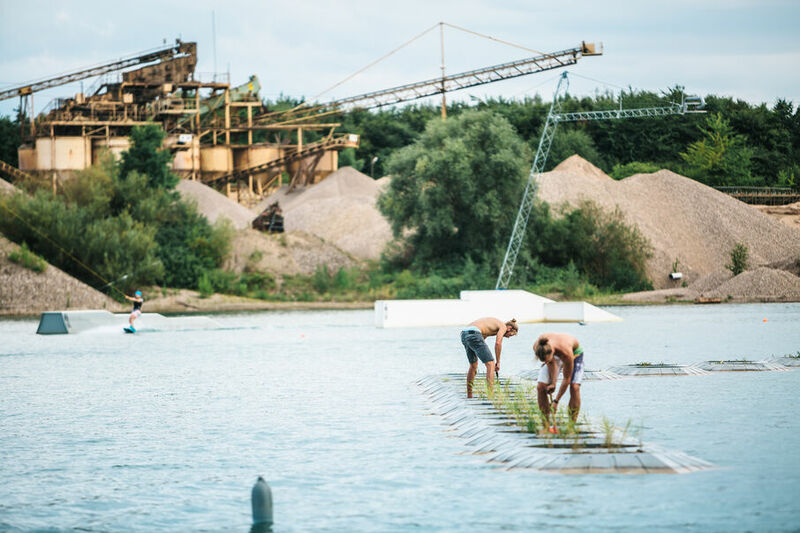 The UNIT Parktech Floating Reeds and Wavebreakers provide an easy and longterm wave breaker solution, while creating natural habitat sanctuaries above and below the waterline to encourage biodiversity, fish protection and nutrient polishing. 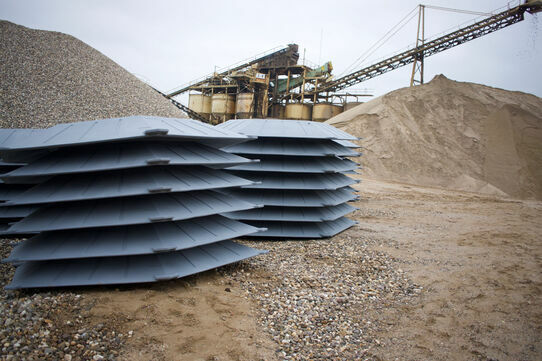 They reduce wave height and frequency by 80% and therefore also provide bank erosion protection. 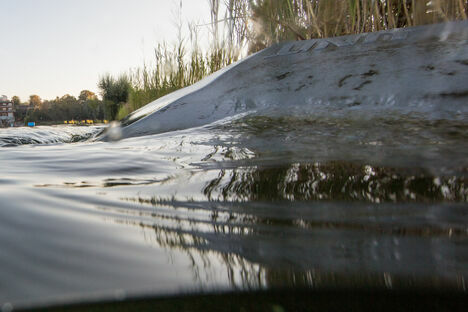 The UNIT Parktech Floating Reeds and Wavebreakers can provide a floating nesting platform for scarce bird species and small wetland animals that are nesting on ‍‍‍floating platforms. 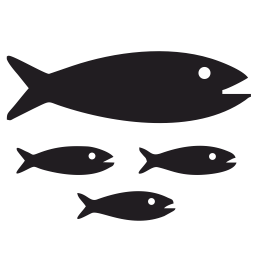 A wide variety of native wetland flora can be used. 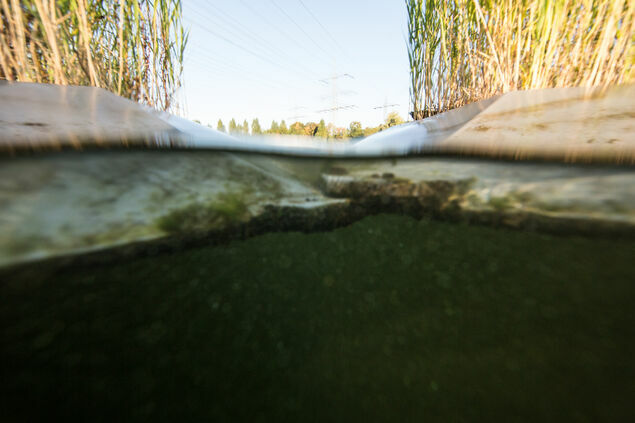 THE UNIT PARKTECH FLOATING REEDS AND WAVEBREAKERS ‍ CAN BE FITTED INTO RIVERS, CANALS, LAKES, RESERVOIRS OR PONDS AND CAN ALSO SERVE AS‍‍‍ ENVIRONMENTAL LANDSCAPE COMPENSATION MEASURES. 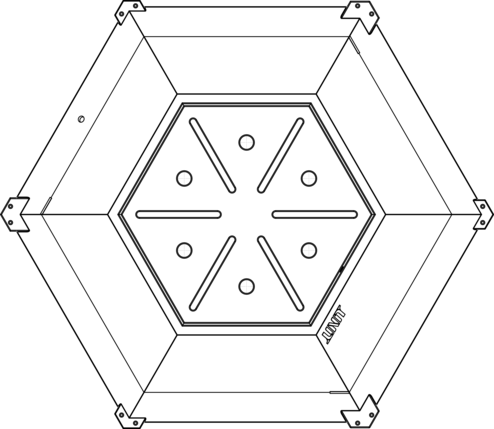 Easy to install in a custom setup. 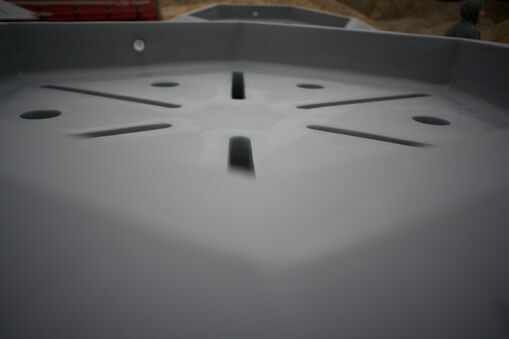 They consist of a modular unit system, which makes them easy to install in lakes, reservoirs and ponds. 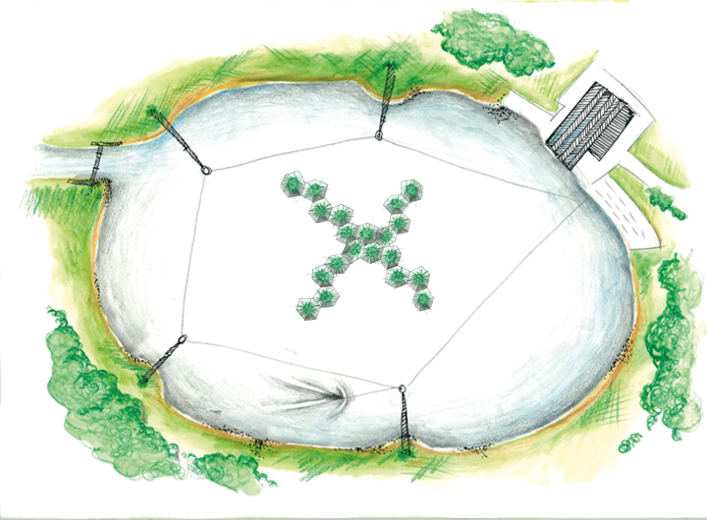 The planting area can incorporate a diverse range of pond plants, swamp plants, or any kind of wetland flowering species to create a floating habitat or refuge for wetland animals, birds, amphibians and fish and also increases the aesthetic value of the project. SINCE 2015 WE HAVE SUPPLIED OUR UNIT PARKTECH FLOATING REEDS AND WAVEBREAKERS TO VARIOUS PROJECTS IN MULTIPLE‍‍‍ COUNTRIES. HERE ARE SOME OF THE MOST COMMON QUESTIONS OUR CLIENTS HAVE BEEN ASKING US. 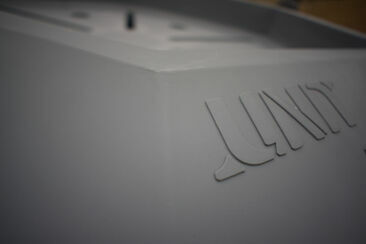 The modular unit system allows for an 100% individual setup that will provide the best fit for your lake. Like pond landscaping, the variable layout with floating reed plants also creates an aesthetic value. 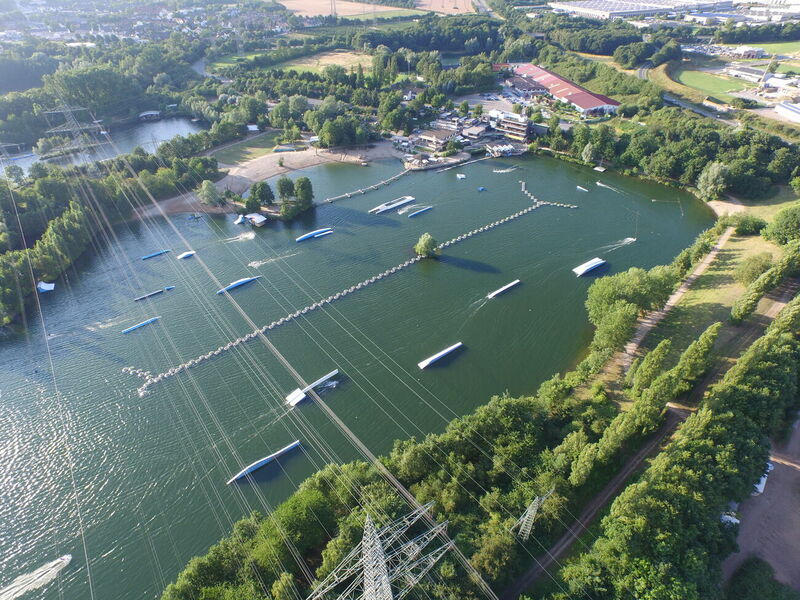 If you are planning a watersports event/contest, you can implement a custom wavebreaker setup to eliminate waves and chop in certain areas. 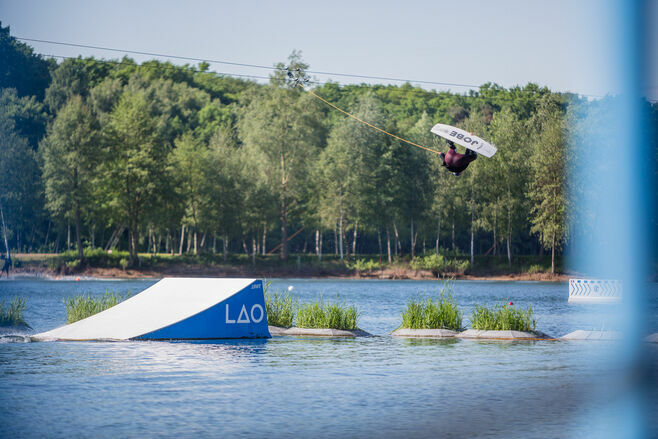 This will ensure a better competition, better tricks and more safety for the rider. Plus, it also gives the contest area an attractive and unique look. CUSTOM LAYOUT "LANGENFELD OPEN 2017"